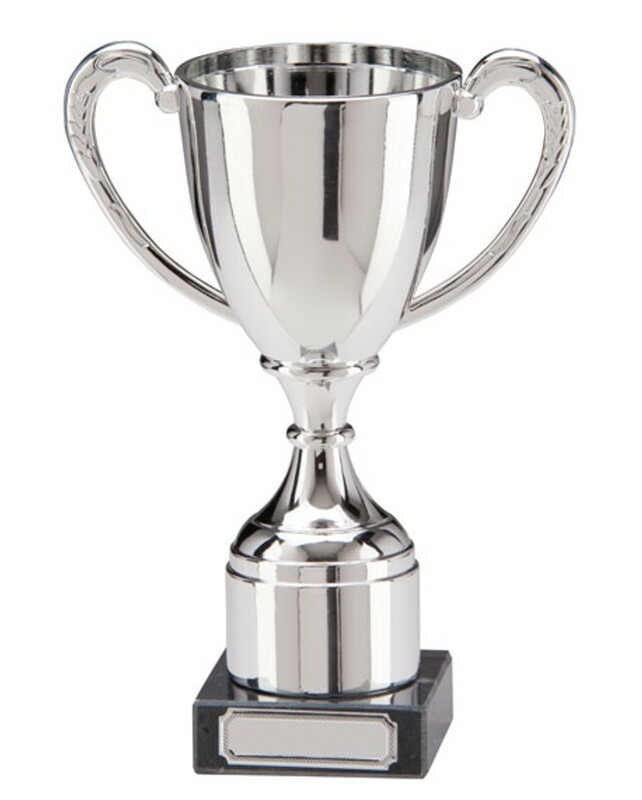 Silver Plastic Hunter Series Cup. Available in 3 sizes, 150mm, 170mm and 200mm high. Metallised poly silver cups on a black marble base. The cup has a metallised finish. A great budget silver cup.